By Edward Klein. All out war! That’s what the media, the Democrats, and the Never-Trump Republicans are waging on the democratically elected president of the United States. With ferocity not seen since the Civil War, the Washington establishment and the radical left are joining forces in an attempted coup d’état to overturn the will of the people and return power to the political and media elites who have never been more unhinged. the anti-Trump radicals; the scandal you don’t yet know about: why Hillary Clinton could still be facing investigation by the FBI and prosecution by the Justice Department. Stunning in its revelations, meticulous in its reporting, there can be no timelier or more important book. This book is a time line of the plot to destroy President Trump. Edward Klein tells how a radical liberal treasonous cancer is attempting to destroy all the values that have made America great. 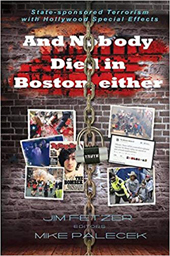 The book outlines how terrorist tactics are employed, starting with a corrupt media and their fake news that are outright lies. Next are the organized violent protests. Most discerning is the erosion of Christian teachings to ensure for ethical conduct. The greatest harm that the plot has caused is that it is poisoning our political establishment with partisan hate. The result is that our paid legislators have created a standoff where the objective becomes nothing gets done. Reading the book, it appears that congressional priority is hampered with a priority to destroy Trump rather than do what the congressional legislators are paid to do: Govern! In all reality, the record of President Trump is that he is a messenger to make America Great Again! What the President is up against is a number of radical incompetent mental midget groups who do not want to hear his message. President Trump is not alone in being exposed to destructive opposition. President Wilson, after World War I could not achieve congressional support for the League of Nations. This stupid rejection led to World War II. The world famous pilot, Charles Lindbergh was amazed how Hitler was building a powerful air force that advanced aviation. Again, mental midgets did not want to hear about the German aviation advances and accused Lindbergh of praising Hitler. This rejection of German military aviation advances changed WWII warfare. The introduction of All Out War says it all. Through a variety of underhanded tactics; lies, leaks, obstruction and violence, radical liberals are waging an all-out war to delegitimize President Trump and drive him from office before he can drain the Washington, D.C. swamp and take away their power. The big picture that author Edward Klein paints in great detail is that the crooks that have been milking our U.S. Government will stop at nothing to destroy Trump. Klein outlines what needs to be done to every form of anti-Trump strategies. 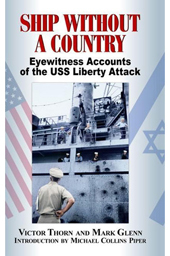 What is overlooked is the constant allegations and bickering by the anti-Trump crowd leads to speculation by rogue nation leaders that President Trump has no real authority to assure for peace through strength. However, since the book has been published, some anti-Trump plots are beginning to unravel. 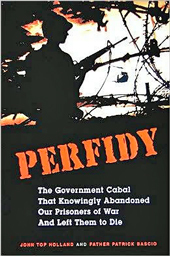 The book is a must read as the public needs to be aware of the deep seated hate that these stupid mental midgets have. They will not stop their assault on the progress that President Trump has achieved in Making America Great. Remember, the all-out war against President Trump will continue through his second term as President that ends in 2025. More from the author . 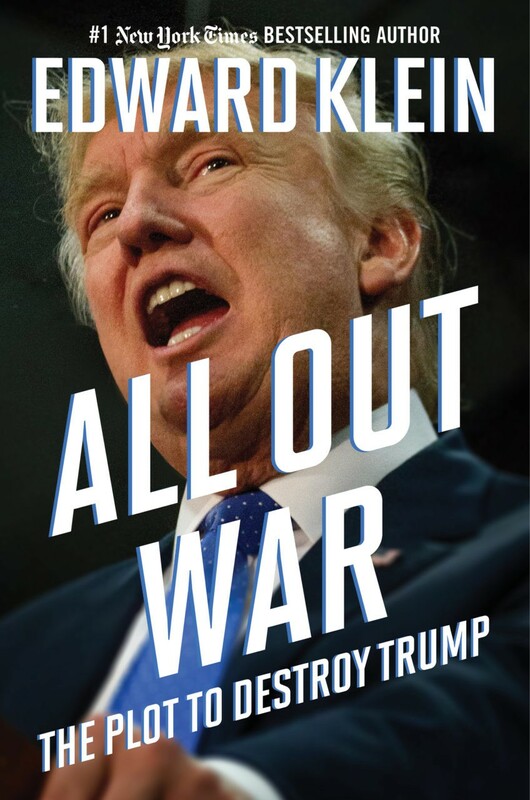 . .
“What if I uncovered a major threat from a radical leftwing group to our national security, and documented it in my new book, All Out War: The Plot to Destroy Trump? Well, I did write about the threat—and the mainstream media totally ignored it. Since the moment Donald Trump launched his presidential campaign, powerful figures have been working to delegitimize the brash-talking businessman and drive him from office before he can drain the swamp and take away their power. Who are these determined and ruthless individuals who are waging all-out war against the president? Why have left-wing progressives and members of the conservative establishment joined forces to drive Trump from office? And what does this mean for the future of American democracy? Edward Klein, the former editor in chief of the New York Times Magazine, and the investigative reporter behind #1 New York Times bestsellers The Amateurand Blood Feud, exposes the villains behind the plot to destroy Trump. Monday will be noisy as more details on the Russia collusion probe emerge. But wait. 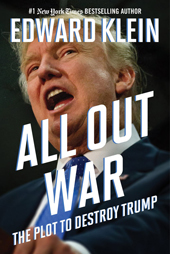 “All Out War: The Plot to Destroy Trump” by veteran investigative journalist Edward Klein, also arrives Monday, making a detailed case that the notorious “deep state” is indeed up and running against President Trump and his administration. “In America, you are entitled to your own opinion. But you are not entitled to overthrow the democratically elected president of the United States and inflict irreparable damage on our country. That, however, is what Donald Trump’s enemies on the Left and Right are doing. Through a variety of underhanded tactics—lies, leaks, obstruction, and violence—they are working to delegitimize President Trump and drive him from office before he can drain the swamp and take away their power,” writes Mr. Klein, former editor-in-chief of The New York Times Magazine. This is his 14th book, following “Guilty As Sin” and “Unlikable: The Problem with Hillary” — one centered on Hillary Clinton’s email woes, the other on her failed 2016 campaign. Now the author dwells upon Mr. Trump’s challenges, which appear to be unprecedented. “With ferocity not seen since the Civil War, the Washington establishment and the radical Left are joining forces in an attempted coup d’tat to overturn the will of the people and return power to the political and media elites who have never been more unhinged,” says publisher Regnery Books, adding the new book reveals that “left-wing groups met with Al-Qaeda and ISIS to plot Trump’s destruction,” this according to an FBI investigation.